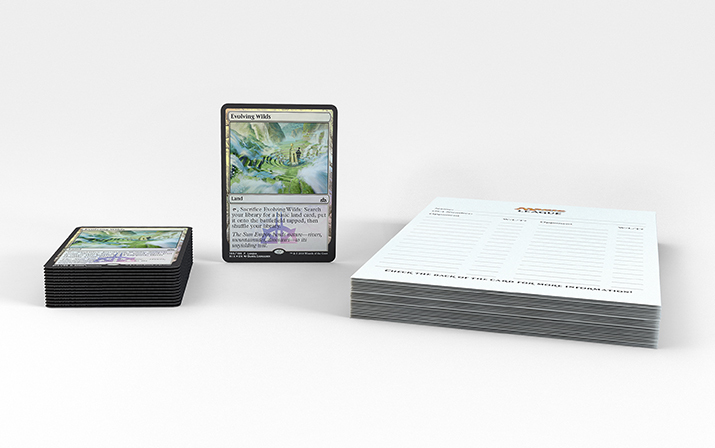 Get a first look at what will be in your Rivals of Ixalan kits and begin preparing for the latest season of play! 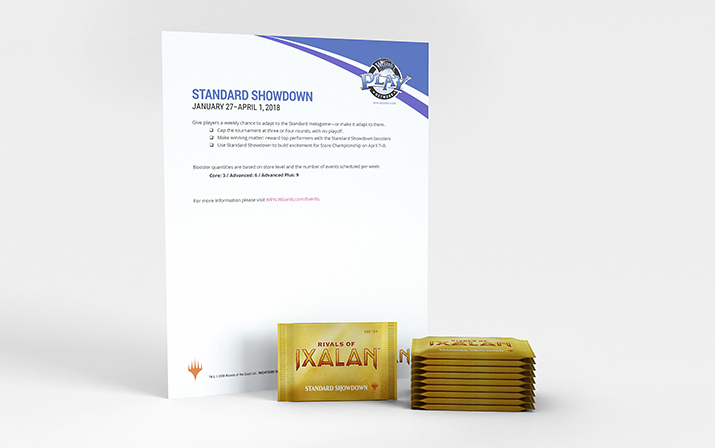 You can run your Ixalan Store Championship event as either Standard, Draft, or Sealed format. First run a Swiss tournament with a number of rounds based on attendance then cut to a playoff for the Top 8. The main tournament and playoff must be the same format. For example, if you run Standard for your Store Championship, the Top 8 playoff must also be Standard format, if you run a Booster Draft for the main event, the playoff must be Booster Draft. 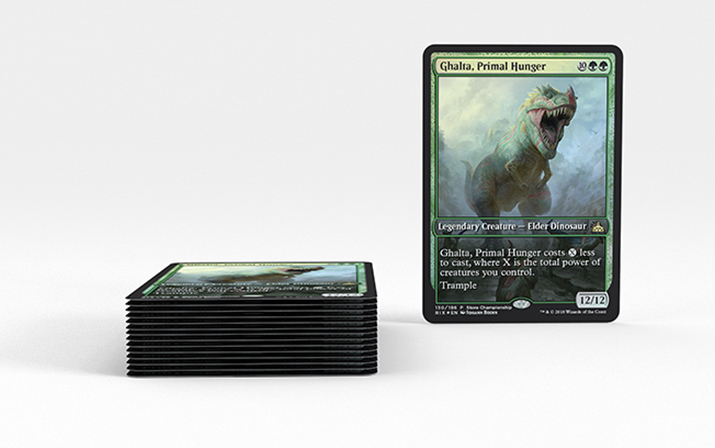 Hand out one foil full-art Ghalta, Primal Hunger promo card to each Ixalan Store Championship participant. 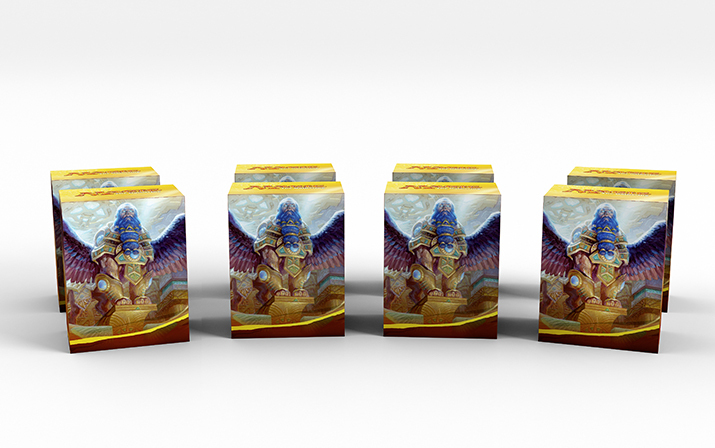 Award the Top 8 players with an exclusive Ixalan Store Championship deck box. 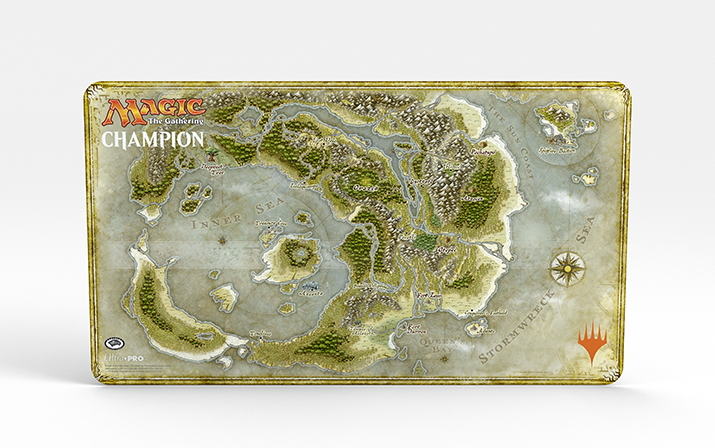 Honor the winner of the event with the exclusive Ixalan Store Championship playmat. Use these two double-sided banners and event poster to pique the interest of potential new players. 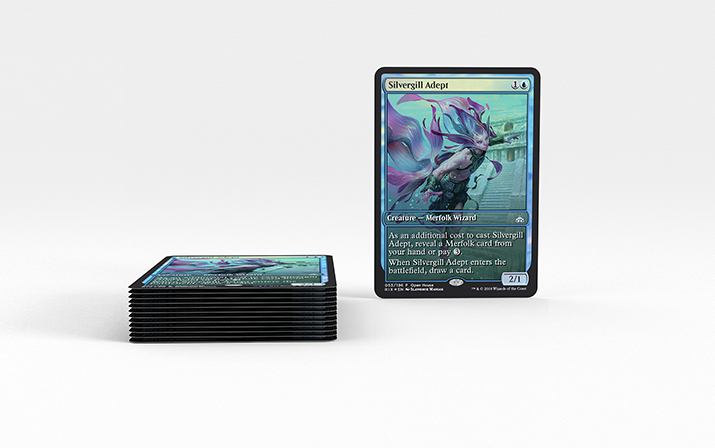 Help generate that interest by displaying them in a prominent area where potential new players are likely to see—hang them from your ceiling at the entrance to your store, in your storefront windows, over your cash register countertop, or over a display of Magic product in your main walkway. Magic Open House is the best time to teach new players the game of Magic. Run brief demos along with more in-depth learn to play sessions throughout the weekend. Encourage their experienced friends to help with teaching and then have them play with their friends, meet the community, and practice the game with casual Standard open play. Open House offers players their first chance to take home a piece of the new set. 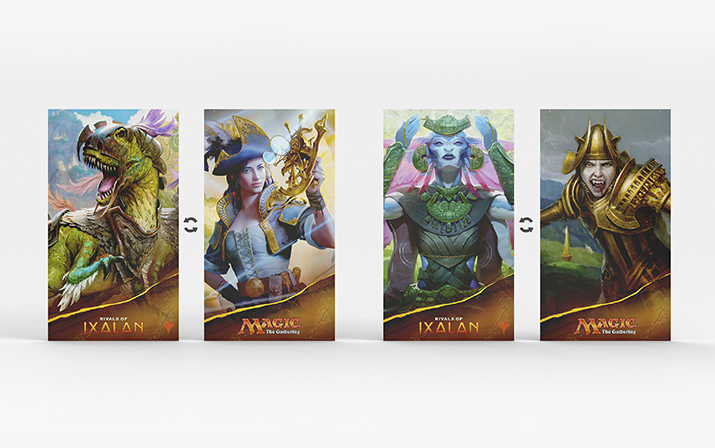 Hand out one of these premium, full-art Rivals of Ixalan promo cards to each participant. A weekend full of Rivals of Ixalan Booster Drafts! Run a combination of scheduled events and drafts-on-demand as players come in. Once you've got eight—or close to it—sit down and get started. Give each player a Draft Weekend promo card for their participation. If you're running a scheduled Draft Weekend event and you don't have at least eight players, simply cancel the scheduled event and create a new "Magic Casual Event" and select "Casual - Booster Draft" from the dropdown format menu. Magic League is an invitation to the habit of in-store play. 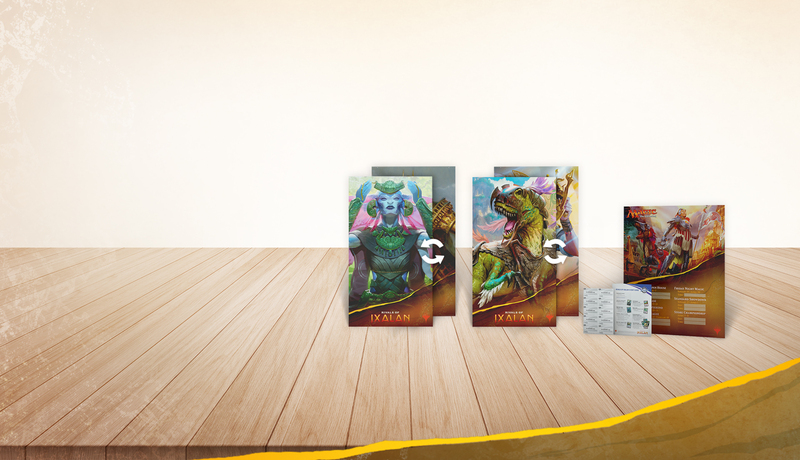 Start players with three boosters to build a deck with and sell them another booster each week, plus another after every third loss. Players can track their own records using the provided match cards and battle any time you're open. 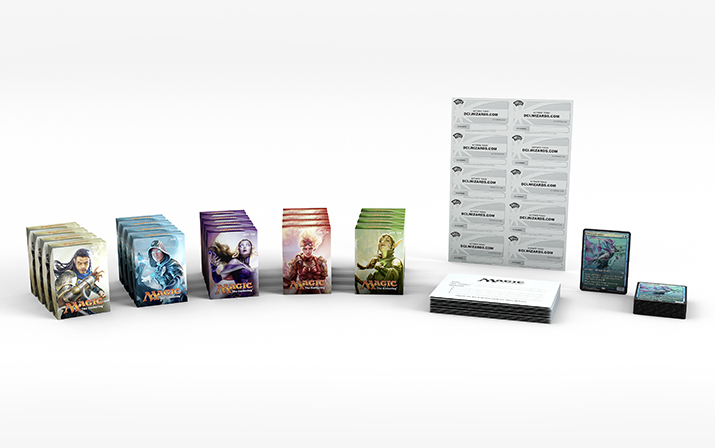 Push in-store sales of Rivals of Ixalan booster displays with the Buy-a-Box promotion. You will automatically receive a number of promos based on your store level to distribute to those who purchase a booster display in store. Highlight this promotion to your newer customers who may not be familiar with the bonus card incentive. Friday Night Magic is the heart of weekly in-store play. Each week, FNM brings players together in your store. Reward that play with FNM promos. 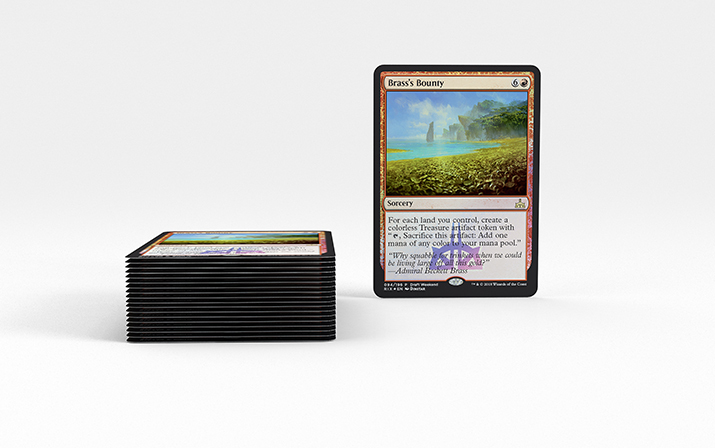 You'll receive all your FNM promos for the Rivals of Ixalan season in this kit. 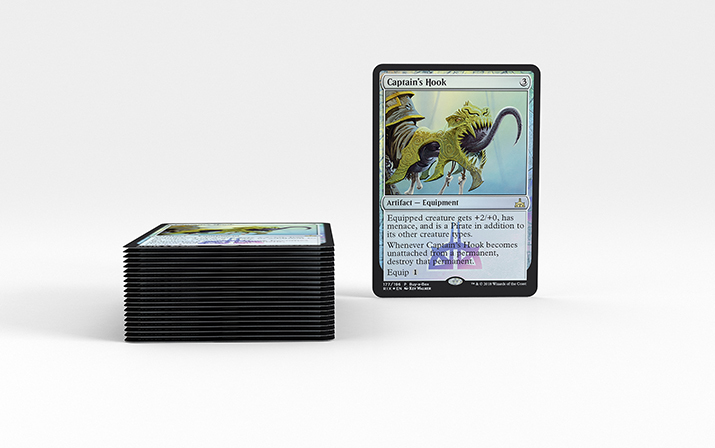 Distribute them at FNM as you see fit—just ensure your supply will last the entire season. Standard Showdown is a weekly program for Standard play geared toward sustaining play through the season until the event cycle recurs. 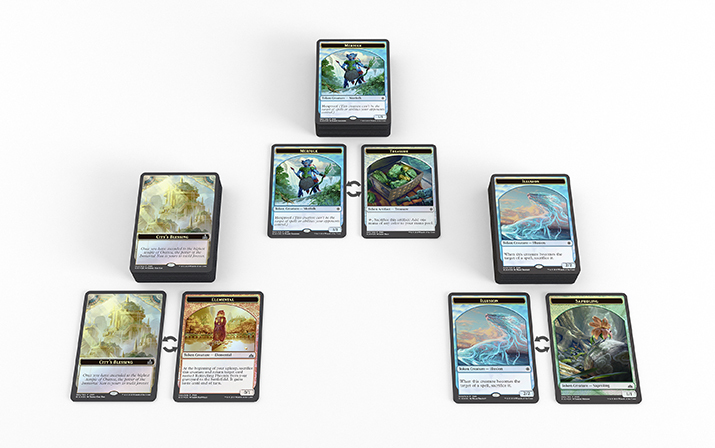 Handout the Standard Showdown prize boosters featuring foil lands by Rebecca Guay to your top competitors at the end of each event. 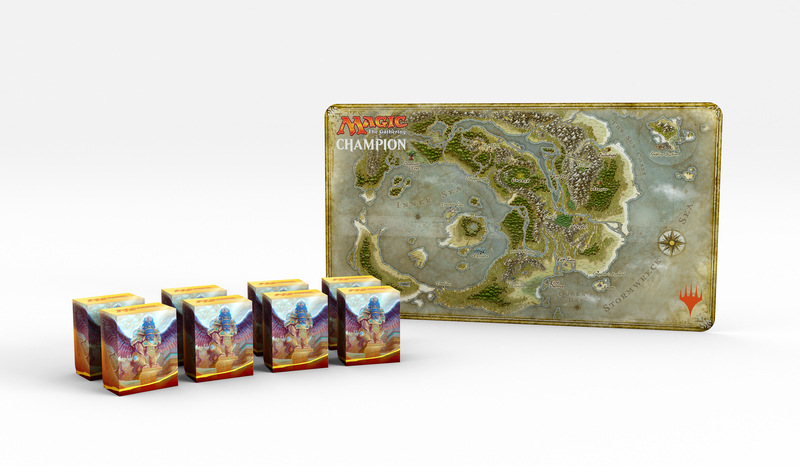 Occurring after Standard Showdown, Store Championship is the grand finale of the competitive Magic season. More kit information will be available as the date draws nearer.